It's not often that you get to buy a new album by Thelonious Monk, the jazz pioneer who pretty much invented bebop piano at Minton's Playhouse in uptown Manhattan in the early 40's, but this week I did with a double CD of the recordings he made for the soundtrack of a 1960 French film, Les Liasions Dangereuses. Although based on the 1782 novel of the same name, the film is set amongst a bourgeois family in contemporary France. 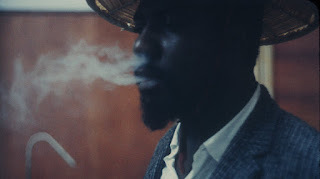 Some of the music from it, including material by Art Blakey's Jazz Messengers, was released as an album at the time, but Monk's contributions lay in the record company vaults until they were rediscovered in 2014. The sound on the album is as sharp and as fresh as the day it was put onto tape in a studio on the West Side of Manahattan in the summer of 1959. Although Monk is playing music he'd played many times before, rather than newly-composed material, there's less of the angularity and atonality which you normally associate with his playing, and which first drew me to it twenty or so years ago, more swing and lyricism, a romantic feeling even, no doubt appropriate to the theme of the film (some of the alternate and unedited takes which make up the second disc of the album are in a noticeably faster tempo than the ones which ended up being used in the film). Monk also shares frontline duties almost equally with the rest of his quintet, especially the tenor saxophonists Charlie Rouse and Barney Wilen. The album includes a booklet with black and white and colour photos from the session featuring Monk himself in a fetching hat, his wife Nellie and patron Pannonica Rothschild, as well as extensive liner notes. My favourite are from the English, indeed Mancunian, jazz pianist and critic Brian Priestley who recalls seeing the film while living in Paris as a student in the early 60's, and even hearing a couple of Monk's musical contributions to it which were released as singles in France on jukeboxes in bars and cafes there. I went to a CAMRA meeting in Stockport last week at which a marketing and pubs manager from Robinsons, the Victorian brewery whose redbrick tower still rises above the town centre, gave us a presentation about recent additions to their draught range, and, very kindly, some free bottles of Blonde Tom, their new Belgian-style strong ale, to sample. Blonde Tom belongs to the same family of beers as Old Tom, the 8.5% dark strong ale first brewed in 1899 which is one the company's best-known products, although at 6% it's not quite as potent as its older brother and, as the name suggests, has a golden colour. It combines English hops with a Belgian yeast strain rather than the one they normally pitch into their open fermenters to give it a different taste to that of their other beers. The beer one of them mentioned as the kind of strongish golden ale they were aiming for was Duvel. Blonde Tom is a thinnish beer with a quickly dissipating head, quite sweet, but with a refreshing sharpness too. I'm not sure I picked up any specifically Belgian notes, but it defintely doesn't have the normal Robinsons taste. It'd be interesting to try a cask version to compare it to the bottled one. 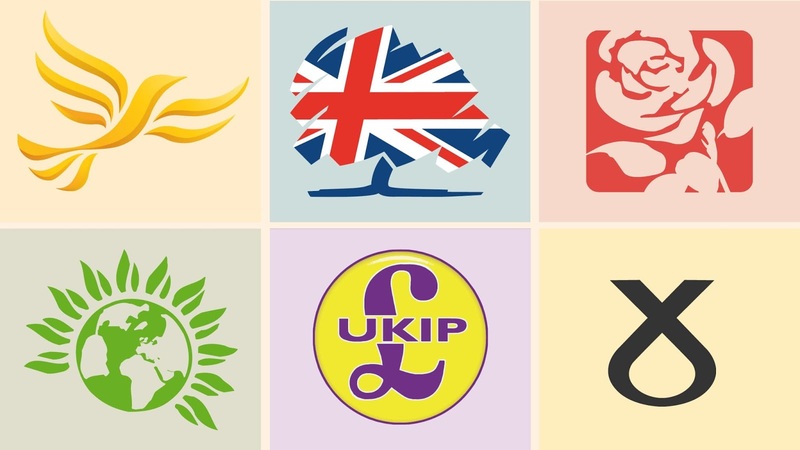 Although less so than others in the past, last week's General Election result threw up some clear differences between the votes won by each political party and the number of parliamentary seats which that gave them. First Past the Post as a voting system obviously favours parties who are able to build up large votes in individual constituencies, even if some of those are then wasted because they end up surplus to returning their candidate there, and punishes those whose support is spread more thinly across the country. So what would the House of Commons look like if a proportional representation voting system had been used for last week's poll? There are different forms of PR, from single transferable vote in multi-member constituencies to national lists with thresholds for representation, or a mixture of the two, but assuming a strict correlation between votes cast and seats won it would have given the Conservatives (42.4%) 275 seats rather than 317, Labour (40%) 260 rather than 262, the Liberal Democrats (7.4%) 48 rather than 12, UKIP (1.8%) 11 and the Greens (1.6%) 10 rather than none and one, the Scottish National Party (3%) 19 rather than 35, and the Democratic Unionists (0.9%) who with their 10 Northern Irish seats now hold the balance of power half that with only 5 MP's returned to Westminster. The outcome might still have been a Conservative minority government, albeit one short of the necessary votes to get its legislation through Parliament without appealing to parties apart from the DUP, but Labour too would have had a possible route to power with the support of other centrist and centre-left parties such as the Lib Dems, Greens and SNP.